Frank Herbert is a fascinating man who lived a full and interesting life, so whether you agree with his viewpoints or not, you can enjoy him explaining the origin for many of his ideas. 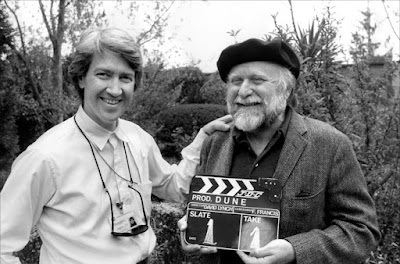 If this rare interview with Frank Herbert teaches us nothing, it is that he was likely a lot of fun to talk to and debate with on a variety of challenging topics. And now that Dune is being brought to life again in a new screen adaptation, it is worth taking a look at those ideas again. Willis E. McNelly interviews esteemed Science Fiction author Frank Herbert at his home on February 3, 1969. A rare glimpse into the thought processes that informed the genesis of Herbert's best-selling Dune Chronicles. A rare recording illuminating some of his thoughts and ideas for the thought-provoking story that has enraptured millions of readers and captured the imagination of some of the best filmmakers of the past three generations.